For each picture, I kept track of the “Likes”, “Comments”, and “Shares”. For some pictures, the comments were for a different attraction, so I made a note of that. Then, using pen and paper, I counted the numbers. Truly informal, TOTALLY unscientific, but a ranking was developed nonetheless! 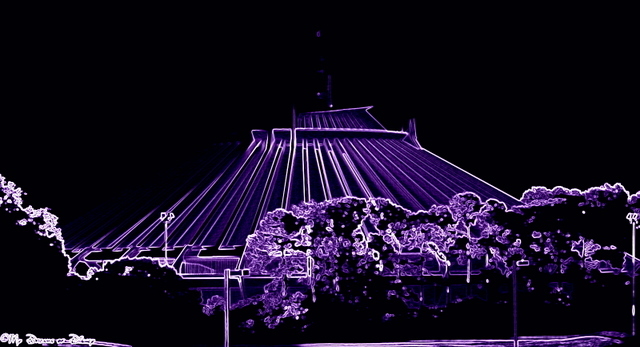 When it comes to Space Mountain, it came in a distant third with just 24 votes. However, it does have it’s love amongst readers! So, while the competition seemed kind of one sided — maybe because of the heat of summer — I think it’s safe to say that there are plenty of people that love all three of the Magic Kingdom Mountains! In days to come we’ll write a post comparing three classic Magic Kingdom shows, and then a post comparing three classic Magic Kingdom rides! Thanks for stopping by, have a Disney day! 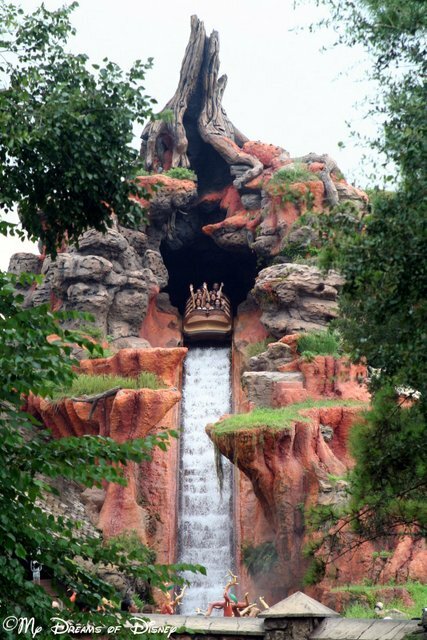 I’m going to go with the “blame it on summer” theory, it’s 100 plus humidity here and Splash Mountain looks really good. 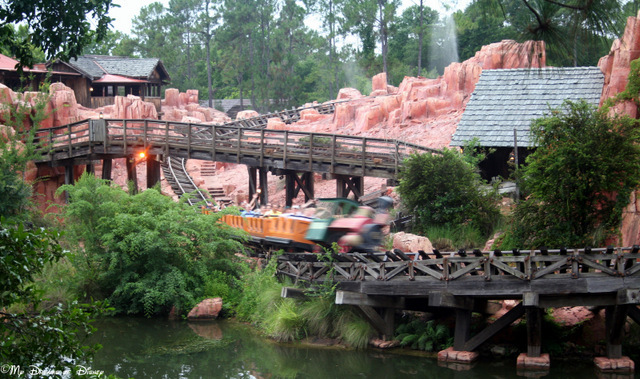 The storytelling in Splash Mountain is something I think gets over looked as well. Sorry for the late reply, Lori, but I totally agree — the water is fun, but the entire story for Splash Mountain is great, plus it’s a long ride, something like 18 minutes or so, which makes for a great break! Thanks for commenting, and have a great night! Previous Post: Wordless Wednesday – August Calendar Shot! Next Post: Enjoying the Illuminations Dessert Party!